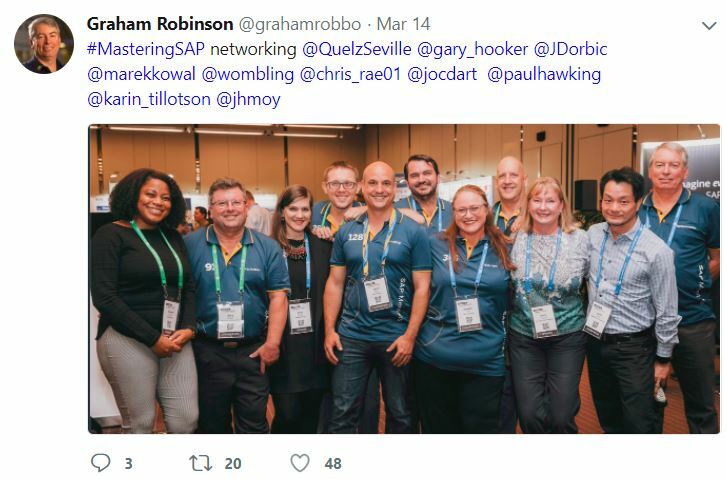 While you ponder these questions, let me share with you a case study from our very own SAP Mentors Program (and follow that up with a couple of opportunities for you to make a difference, so please keep reading). I especially agree with all the great things that diversity brings, but have a hard time reconciling why our “Mix” is not yet diverse, when our Mentor group’s culture is already so inclusive and welcoming. Which brings me back to my original questions, and my own answer about this relationship. I have concluded that inclusion itself does not guarantee diversity, any more than diversity will result in inclusion. They indeed have a symbiotic relationship, and to have one is an opportunity to reap the rewards of the other. In the case of the SAP Mentors, we need to deliberately lead change in order to see change in diversity. Help us meet our diversity goal – In addition to nominating active community contributors who have the right attitude and aptitude to be SAP Mentors, please also nominate candidates who stand out but don’t exactly fit into to the usual SAP mold. Yes, we’re talking about assortment too – females, young talent, and business-oriented folks. We’ll take care of the inclusion part. Do you have a similar or different opinion about diversity and inclusion? I would love to hear from you in the comments below. How many of your group do not work “full time”? Non-full time people – that’s can either be difficult to find out or easy. The obvious group for me to focus on are the 28% of freelancers in our Mentor Mix. Some say they do not work full time, whereas others will say they work more than full time. 94% of freelancers in the group are non-female. Uuups .. “not work full time” = Freelancers” .. wow. I might do something very wrong then .. and 95% of the freelancers I know too. Most of the time they don’t even know that they are already in the overtime, because they are passionate for what they are doing. This is what is driving at least me .. being a freelancer. I understand Joachims question more targeting employees with contracts less than 100%. Like e.g. moms and dads where both are working but with a reduced amount of hours per week. Not sure if that could be a criteria .. I think it shouldn’t – I assume in average they are bringing the same “passion per hour”-ratio like all the others. No offence intended to freelancers, but I guess just the association and mention was a mistake. Btw, I’m in the camp that think freelancers work more than full time. Thanks for clarifying and providing another interpretation of “not work full time” – I agree, actual work time is not a diversity criteria. Hey guys, I think both you Christian and Jason are right in the interpretation of the “full time” and “Freelancer” definition. I want to share my example as someone who has been working for years as a Freelancer with some short experiences as an employee. I have always worked more hours as a Freelancer. I agree with Christian in that really enjoying my work is the reason why I am inclined to accept and even pursue opportunities to work more hours. I am sure that working less than ten hours a day are exceptions for me as a Freelancer while I think that working eight hours a day is closer to the reality of an employee because many times companies are more conscious about the work-life balance concept. Thanks for your insights. I absolutely agree with your conclusion that inclusion itself does not guarantee diversity, any more than diversity will result in inclusion. Having said that, I think SAP has a much better D&I culture than some other corporate organisations I used to work for. I’m curious to see what SAP Mentors will come up with to lead the change further. I hope to read about it in one of your blogs. Thanks Monika! SAP’s inclusive culture and role models in our leadership team have certainly made it easy for us to take on this challenge. There are many examples such as SAP Canada being voted best place for women to work, but I like to go back to my own experience of welcome and acceptance I felt after the SAP acquisition of Business Objects (being a former BOBJ employee). That made the difference. Will keep you and the community posted on how we do. This will be a community effort starting with the SAP Mentors Program and I hope will ripple out to greater diversity in our SAP Community. “but don’t exactly fit into to the usual SAP mold” – what does this mean ? Good question Denis! Can you tell I’m dancing around some language and labels here, as I’m trying to be careful, considerate and correct in not labelling any groups. I also accept that this comes with some ambiguity and requires our community members to read between the lines. SAP solutions and services typically interest ERP and CRM users; our SAP Community (SCN) typically attracts technologists; more specifically SAP developers; and I can drill down from generalities to specifics such as specific SAP technologies, geography, etc…but I think everyone gets the point. But that’s the problem then – on one hand we have “i’ll know one when I see one” , which is very unstructured and un-algorithmic approach, on the other hand we need to have a structured and transparent process of selection. How do we marry the 2 ? I don’t think we have a perfect solution yet by using either qualitative or quantitative criteria for selection. At the moment, we’re marrying the assessment of attitude and aptitude based on information nominators/applicants provide, plus a healthy dose of objective and subjective online verification based on online information we can access. Recently, someone compared our Mentor-selection process to a recruitment/hiring process organizations go through. I can see a lot of similarities – include the lack of information, and the role of bias – conscious (such as bona fide requirements for doing a job) or unconscious (such as choice of wording in a job description that may be interpretted differently by candidates). Join us on the April 9th SAP Community Call about Diversity and Inclusion, and I will share with attendees what I can about our selection process, criteria and even scorecard for candidate evaluation. Thanks Pam! I believe Pat Chaisang used Adobe Illustrator to create the scorecard for us.